so, rheatheylia has some fantastic hat patterns! this is the divine hat – i just love it! i am in the process of making a matching cowl scarf to go with it based on the stitch pattern in the hat. i think it will go really well with my burgundy wool coat! i am starting to get REALLY excited for fall. temperatures have cooled down a bit, and today i sat on the front porch and crocheted during a thunderstorm – the air was cool, the wind was howling, and leaves were falling off the front tree. perfect! 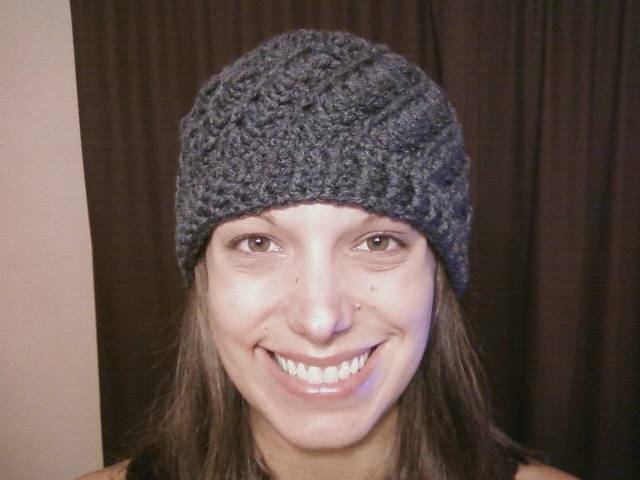 This entry was posted in Crochet and tagged bpdc, crochet, fpdc, hat. Bookmark the permalink.